Dr. Janice Liebler is a reputable pulmonologist based in Los Angeles, California. Dr. Liebler has been working in the medical field for more than 2 decades. Her specialty is the pulmonary disease. She has graduated from the Wayne State University School of Medicine. She completed two residency stages in internal medicine at the University of Texas Health Science Center and the Baylor College of Medicine. She is board certified in critical care medicine, internal medicine, and pulmonary disease. Dr. Liebler has a proven passion for the research field, together with other specialists, she published three studies that focused on alveolar epithelial type I cells in alveolar fluid clearance, subpopulations of alveolar epithelial distinguished by differentiation markers and the role of claudin 18 in alveolar barrier properties and fluid homeostasis. 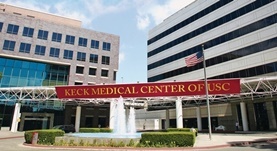 Dr. Liebler is currently affiliated with the Keck Hospital of USC. Dr. Janice Liebler has contributed to 3 publications. Knockout Mice Reveal a Major Role for Alveolar Epithelial Type I Cells in Alveolar Fluid Clearance. Flodby, P.,Kim, Y. H.,Beard, L. L.,Gao, D.,Ji, Y.,Kage, H.,Liebler, J. M.,Minoo, P.,Kim, K. J.,Borok, Z.,Crandall, E. D.; Am. J. Respir. Cell Mol. Biol.. 2016 Apr 12. Combinations of differentiation markers distinguish subpopulations of alveolar epithelial cells in adult lung. Liebler, J. M.,Marconett, C. N.,Juul, N.,Wang, H.,Liu, Y.,Flodby, P.,Laird-Offringa, I. A.,Minoo, P.,Zhou, B.; Am. J. Physiol. Lung Cell Mol. Physiol.. 2015 Nov 08.